A 22-year-old student who had obtained admission to the Arts Faculty of the Sri Jayawardanepura University is reported to have been killed on the spot when she was knocked down by a speeding lorry this morning at Balapitiya. 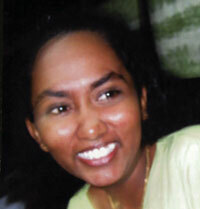 The police identified the victim as Nadishani de Silva who was a resident of Walagedara. She was returning home after obtaining a blood and X-ray report required by the university when the tragedy occurred. The killer-lorry had sped away after knocking down the woman. Her body was taken to the Balapitiya Base Hospital pending further inquiries.